A traditional Czech butcher’s shop provides fresh meat, smoked meat and delicatessen every day. It sells smoked ham Bologna salami, pork and beef sausages, beer salami, onion salami, meat brawn, smoked pork neck, meatloaf, Highland salami, Styrian sausage and many other products. Freshness: Every day we buy fresh meat and cut it and process it for sale in our shop. This process is repeated and checked several times a day. Our meat is not packaged in a protective atmosphere which embellishes the visual properties of goods. 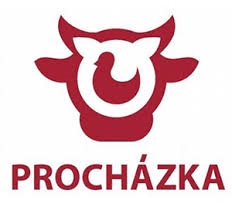 Quality: We buy meat only from well-established Czech and Moravian manufacturers. We choose our assortment ourselves. We do not compromise our goods’ quality which is carefully assessed on a daily basis. Service: We will happy show you meat and other products, answers your questions, cut the meat to suit your cooking ideas, and give you advice on the best way to prepare your meals. Please send us your e-mail and you will be informed regularly about news!